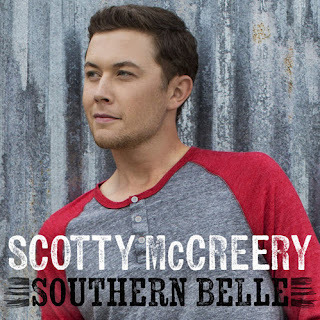 Season ten American Idol winner Scotty McCreery is back again and breaking all expectations with his new single “Southern Belle.” It shows an unusual side of Scotty that we haven’t really seen with the song being on the verge of country rock. McCreery has cut five songs so far for his third studio album with “Southern Belle” being the one he has started playing at live shows. The first single from the upcoming album has a lot of energy to it. The pre-chorus “You can go around the block, ‘round the town, ‘round the world, but there’s nothing like a down home girl,” basically stating there’s not a girl in the world that could compare to a southern belle. It was penned by Jason Saenz and Sean McCormick and I guarantee it’ll be a huge hit. Unfortunately the radio release has been pushed back until September but I promise you it’ll be worth the wait. Scotty is the most talented young man ever. He can sing everything and what a voice he has. Total pkg is what we McCreerians say! I love the song and Scotty will always be number one to me. GO SCOTTY!!! !